When it comes to keeping fit, one is certainly open to many different options, as well as the variety in intensity. Want to lose weight faster? Just work out more in calorie burning routines, and if you would prefer nothing too heart pumping, then a brisk walk for a few blocks around the neighborhood would do, although that will take a whole lot longer for you to shed those pounds around the waist than a more active regime. If you ever need some help when it comes to quantifying the number of calories burned versus the amount of calorie intake, then you can always achieve the former with the LifeTrak Core C210 activity tracker. With the LifeTrak Core C210 activity tracker, this is one particular device which is proud to be able to track your activity round the clock, ensuring it has a grip on your heart rate, including sleep, calories burned, steps taken and distance traveled. Doing all that might just spur and encourage you to get active, lose some weight, and heck, maybe even be able to enjoy better quality sleep along the way! The LifeTrak Core C210 is said to deliver truly automatic sleep detection and monitoring, which means you no longer need to remember to manually prompt the device that you are about to go to bed. Once you know and track your heart rate, it is the first (and most) important step when it comes to improving your overall well-being. LifeTrak activity monitors tend to incorporate heart rate and physical motion into the calorie burn calculation, which has been hailed to be the more precise method in determining calorie expenditure. Apart from that, they also boast of a most sophisticated science and accurate data calculation of any activity tracker out there, letting you make more informed changes to your health. 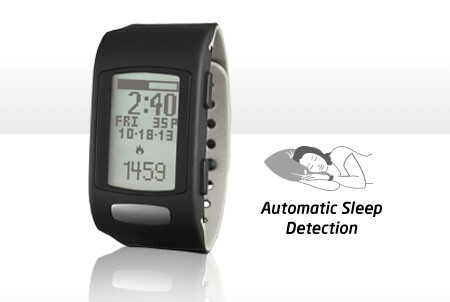 The LifeTrak Core C210 will also be accompanied by an easy-to-read display, letting you check out all of the relevant information in a convenient manner right there and then on your wrist, so that it becomes a snap to track all of your vitals without having to sync wirelessly with a smartphone app. Expect this activity tracker to cost you just $69 a pop when it arrives. The Mini Desktop Canon – Can Really be Fired, and You can Too!